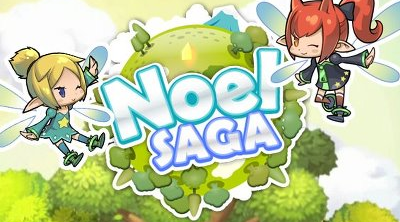 Here are some tips, tricks, game help and information for the game NoelSAGA - NCsoft's online browser based social game. The game offers a very good in-game tutorial at the start of the game. Follow the tutorial to guide you through the game's basic features like building, collecting and adventuring. follow the arrow around your character to direct you to your next destination. Pretty useful for finding nearby NPCs and monsters. When you are on your Home Planet, you can easily locate available construction signs, items and more by clicking the "Customize Planet" icon under the "Home Planet Warehouse" icon. that location you are currently viewing. destination. To do this, click the bar displaying the name of your current location on the screen's upper right corner. For the example pic below, click the "Sheep's Paradise". - The Planets' map should be displayed. Here you can view the location of each NPC and monsters in each area. Click on an area and your character will go there on it's own. - Used to collect items, lift objects, attack monsters and more. - Regenerates over time. 5 minutes for 5 energy. - Visit friend's planet and receive 5 energy. - Invite friends and send Energy gifts to them. They might return the favor. - To check your gifts, click on your game messages or postbox. - Empty out your Energy bar and ask your friends through Facebook feeds. - Check your Facebook Game Feeds. Send Energy to your friends to get 5 Energy points. use it by pressing the number keys on your keyboard or by clicking the activated icons on your screen. It will only require 1 energy and Mana Point/s to deal massive area of effect damages. MP regenerates over time. and more. Throw them at monsters to get some extra damage and loots! HP bar to deplete then attack them before they die for an easy 1 hit kill! - Normally regenerates over time. - Get regenerative items from killing monsters. - Ask your friends or other players to "Cheer" your character. - Stay near town's campfire to speed up recovery time. - Shows up above the head of NPCs when a quest is completed. - Shows up on objects when harvesting, and buildings when crafting. - Finish story line quests to gain rewards and to unlock more adventures! - Common quests: Talk to an NPC, gather items, defeat monsters and more. - Hover you mouse pointer over it to view your progress. - Click the quest icon to view more information. - Side quests that gives achievements and rewards after completion. - Hover you mouse pointer above it to view your progress. - Click on the player you want to Cheer. - A new window will appear with the Cheer icon and some smileys. - You can cheer up to 3 players for every 12 hours. 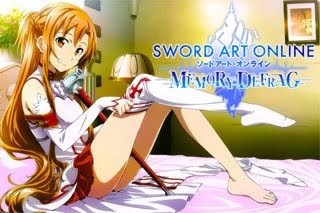 - Cheered players will get increased Attack and quick recovery. - Cheer each other to register that player as your fellow. When your fellow is online, you can teleport right next to him or her through the "Fellow List" window. - You can also revive players who have fallen by cheering them! - Press the "Enter" key. Press "Esc" key to close the chat window. - Automatically opens after clicking a player. - Click on the minimized chat bubble to open. - Unlocks as you progress through the game. A new tutorial will pop out to guide you. card. You can't open more Cubes if you don't have enough Keystones. - A request window is automatically displayed when you don't have enough Keystones. - Request or ask your friends via Facebook Wall or Game feeds. - Visit friend's planet and receive 3 Keystones. - Invite friends and send Keystone gifts to them. They might return the favor. - Check your Facebook Game Feeds. Send Keystones to your friends to get one free. - Open the card album to check available items for exchange. - Items require a set of cards and some Gold to exchange.